On November 14, the Jersey Community Middle School Student Council sponsored our 6th Annual Wounded Warrior Run. JCMS students participated and asked family, friends, and community members to donate to our local American Legion posts. 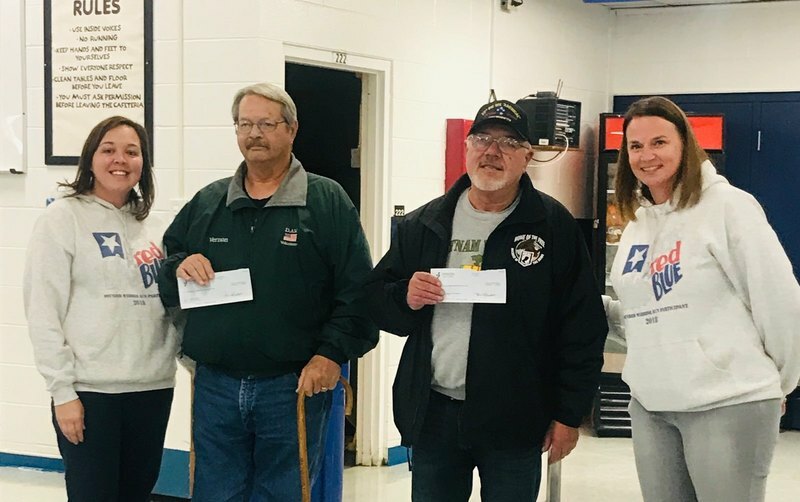 All students were required to collect donations that were given to the American Legion posts of Jerseyville and Grafton. Students collected $3600 and participated in a 1 mile race to show their support of our Veterans. 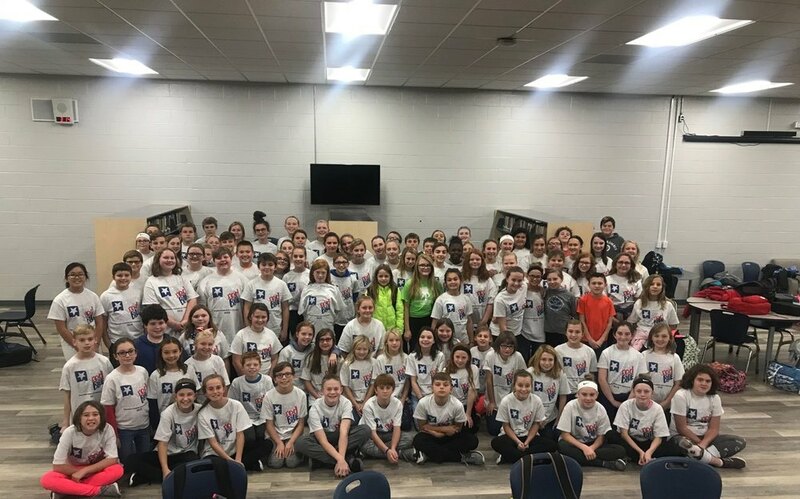 We would like to formally thank Mrs. Schilling and Mrs. Shalley, our student council and also our students, faculty, and community members who helped make the run a success. 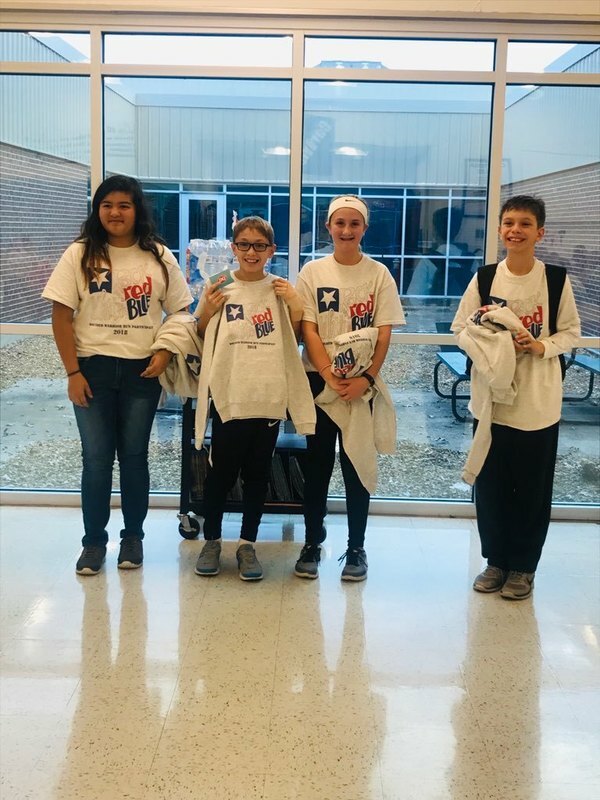 Pictured are top collectors from L-R: Sarah Robles (6th grade - $410), Alex Hubbell (7th grade - $195), Ava Burney (6th grade - $440), and Kristopher Turnbaugh (5th grade - $120). 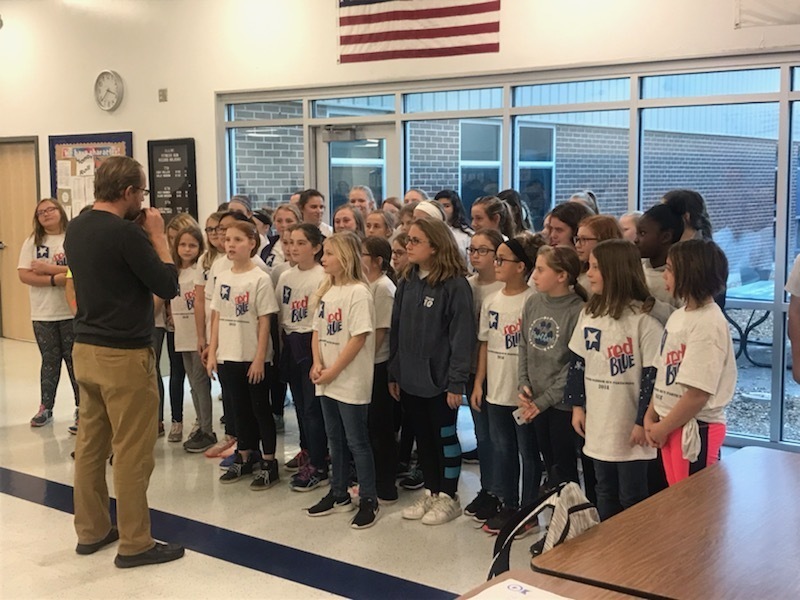 The JCMS Choir sang the National Anthem.